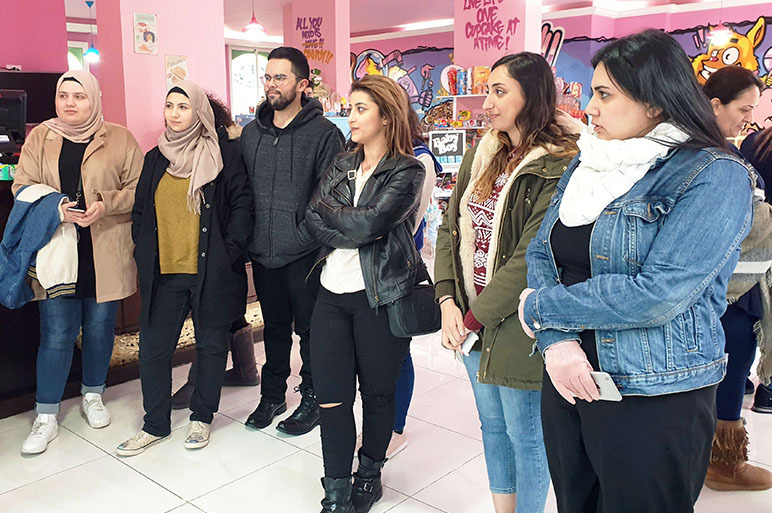 As part of the GRDS 330 - Photography II class, given by Mr. Rawad Dalal, Mr. Firas Hatoum owner of “Candyholic” shop launched a “Photography for Social Media Competition” for their sweet products on Friday, March 8, 2019. RHU graphic design student Ms. Dana Abdallah was announced as the winner of the competition on Friday March 22, 2019. Her photographs will be used for social media and she was gifted a Wacom tablet as a competition prize. During the 2 weeks the students worked on various concepts for the images of the products to be placed on Candyholic’s social media. Mr. Firas Hatoum attended the final presentation jury for the class and picked the winners. The second place went to Ms. Razan Mikdash and the third place to Mr. Omar Mougharbel. Mr. Hatoum was very impressed with the quality of student work and their creativity ability. It makes us proud that RHU GD students are proving their creativity and talent day after day in the industry.